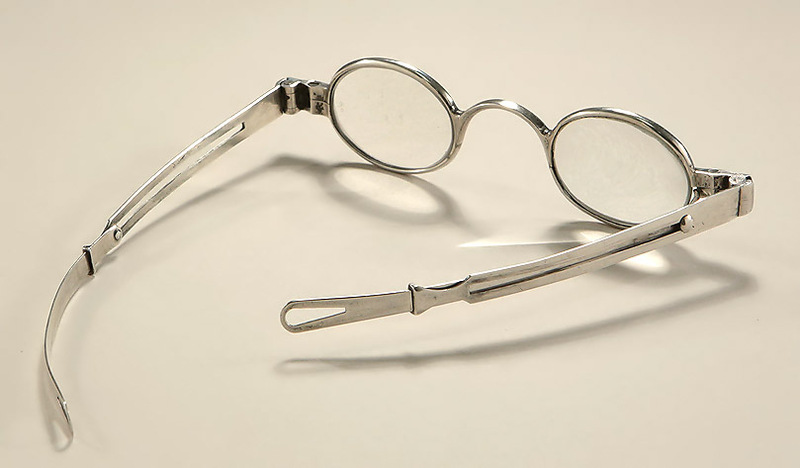 During the 18th and 19th centuries, spectacles and eyeglasses were individually handmade. and we can only date to within a period of common use. 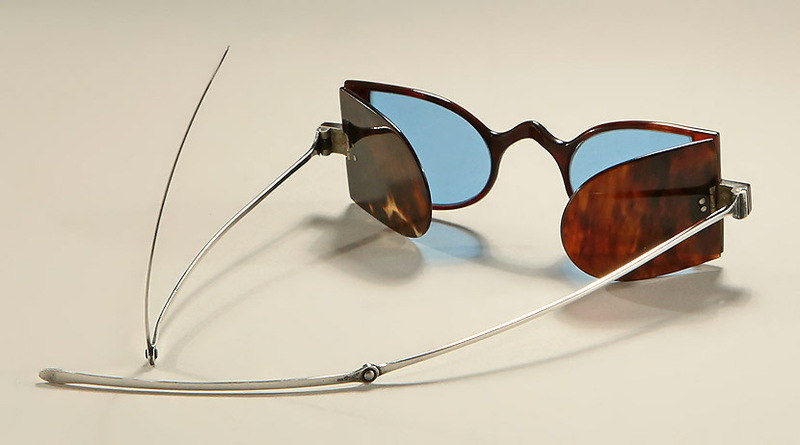 including hunting glasses, slide temple, heavily tinted early sunglasses. 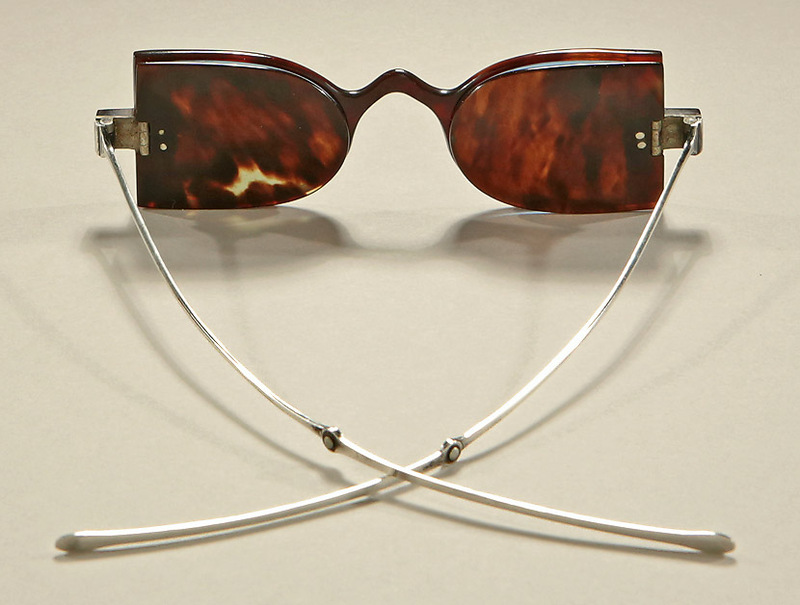 In addition, we offer a very rare pair of George III tortoiseshell and silver sunglasses. 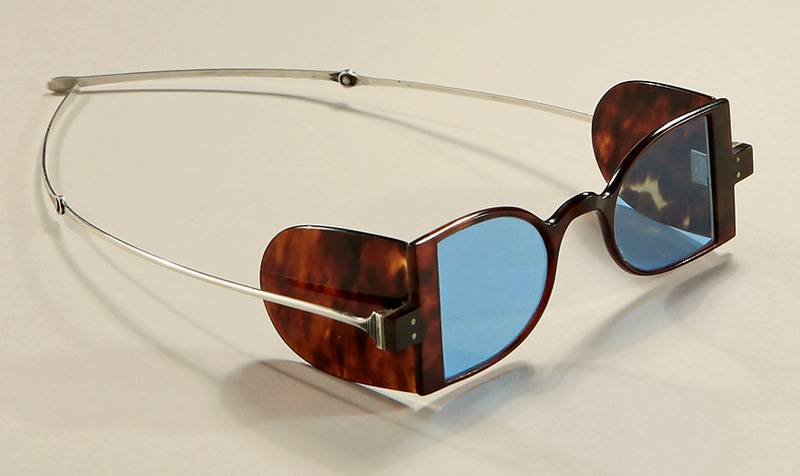 These are quite attractive on the face and contemporary in feel. In addition they are extremely light weight and comfortable. Lens Width : 1-1/5" / Lens Height : 1-1/4"
Bridge Size : 1-3/4" / Temple Length : 5-1/2"
* It is uncommon to find such a pair, much less in overall pristine condition. 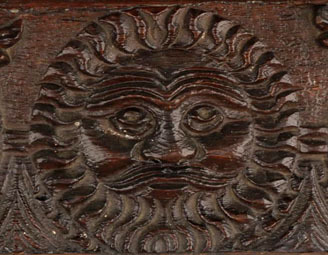 Turn-pin spectacles feature an extension on the end of the temple that is held in place by a rivet that pivots 360 degrees. to better grasp the head, as opposed to straight back or downward. 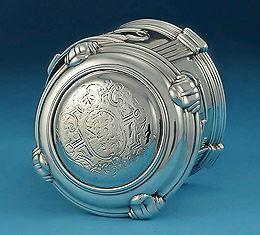 This extension was often formed to fit the crown of the owner's head upon creation. and tended to stay in place better than straight temples and sliding temples, though it is not fitted enough for riding. Lens Width : 1-1/4" / Lens Height : 1-1/4"
however no documentation has surfaced to confirm any military connection. 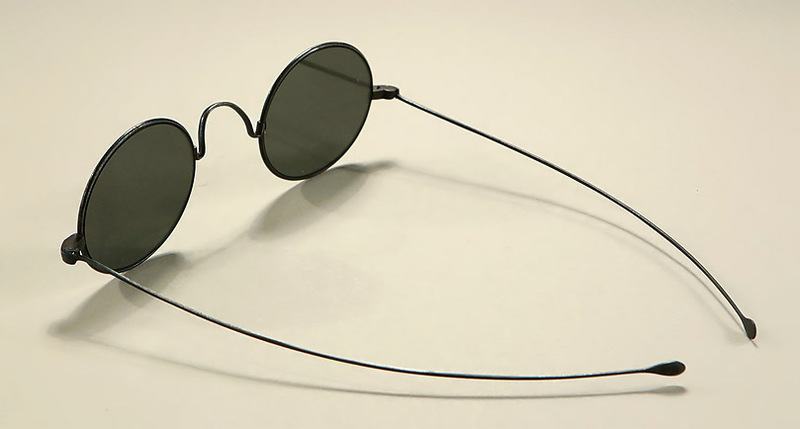 and is still used in modern sunglasses for the same reason. 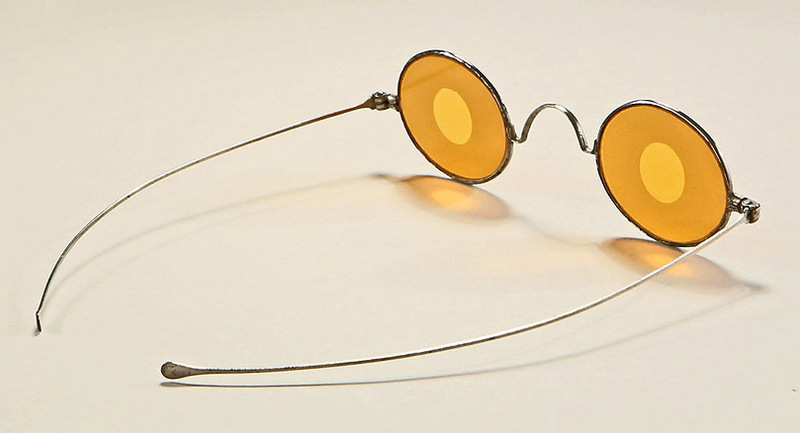 Different colored lenses were also claimed to have health value at this time. 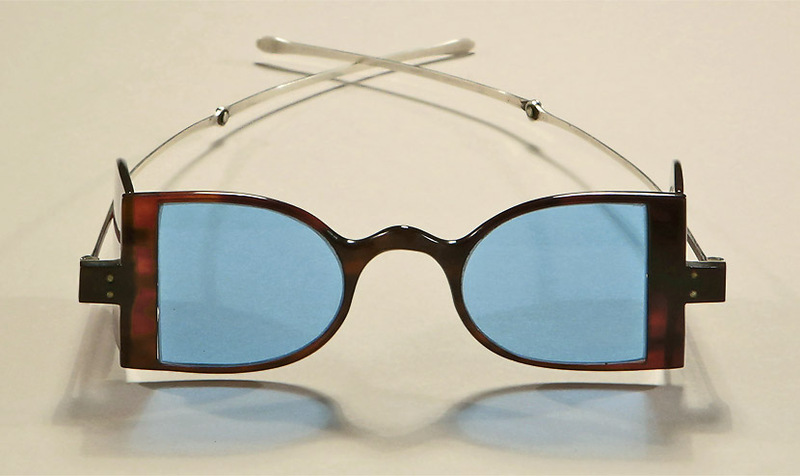 This type of spectacle is not intended to have refractive correction. 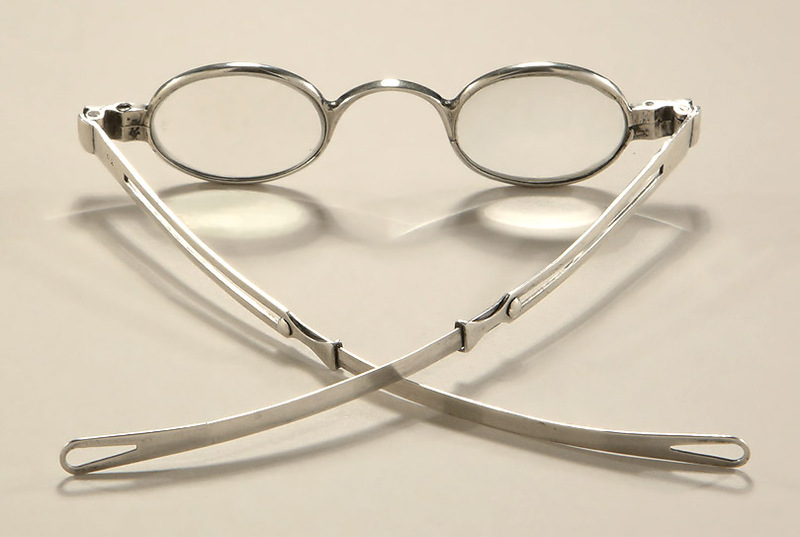 Lens Width : 1-3/8" / Lens Height : 1-1/8"
Bridge Size : 1" / Temple Length : 5-1/4"
marked to one arm "30"
away from the frames to lengthen, or fully retracted for easy storage. especially whilst doing common household chores and light work. However, they were unsuited for horseback riding or hunting. 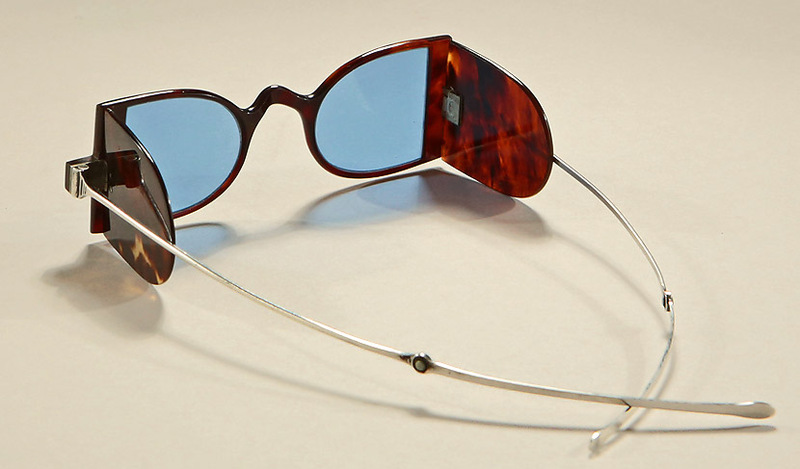 Lens Width : 1-1/4" / Lens Height : 1"
JULY FORECAST : SUNNY & HOT!